New in Revit 2018 is the ability to link Navisworks files, .nwc or .nwd format. There is a new tab on the insert ribbon. When you load, you have the option of relative or absolute paths and origin to origin positioning or by shared coordinates. There is also a new tab in the visibility graphics box to toggle on or off and to control the transparency. Navisworks model as a link in Revit. This will make coordinating with non-Autodesk software much easier. 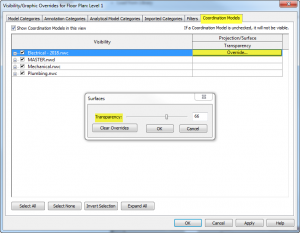 Modeling around other disciplines and correcting clashes can be done right in the Revit model. 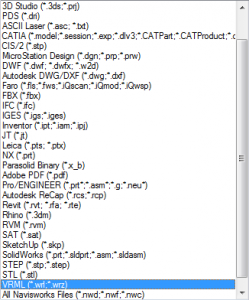 Detailed equipment that was once very heavy in Revit can be referenced as a .nwd file. While there are better workflows for many of the formats Navisworks can read, this will certainly open up some new possibilities.